When we decided to purchase our current house, I was disappointed that it lacks vaulted ceilings. Our realtor put the idea in my head to install a skylight to open up the ceiling. So that’s exactly what I just did. 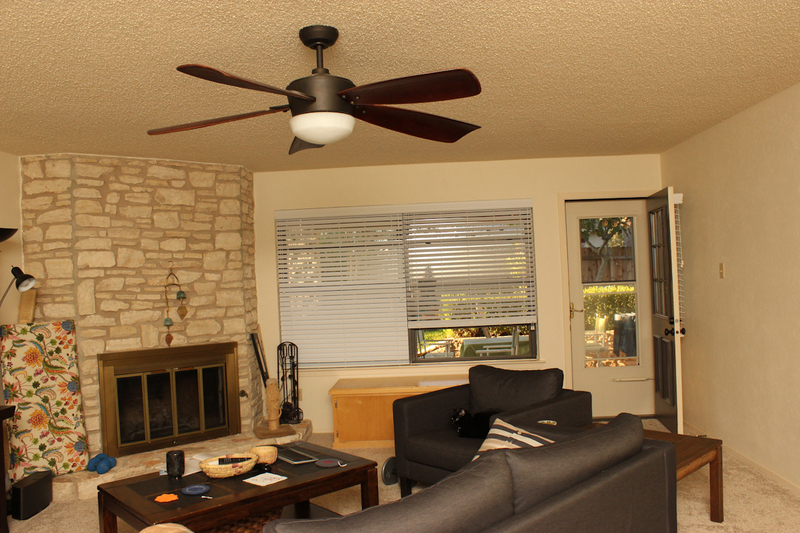 Not only does it make the ceiling feel more open, it makes our previously dark living room nice and light. Our covered back porch prevents the back windows from getting much light. Now we have plenty of light. 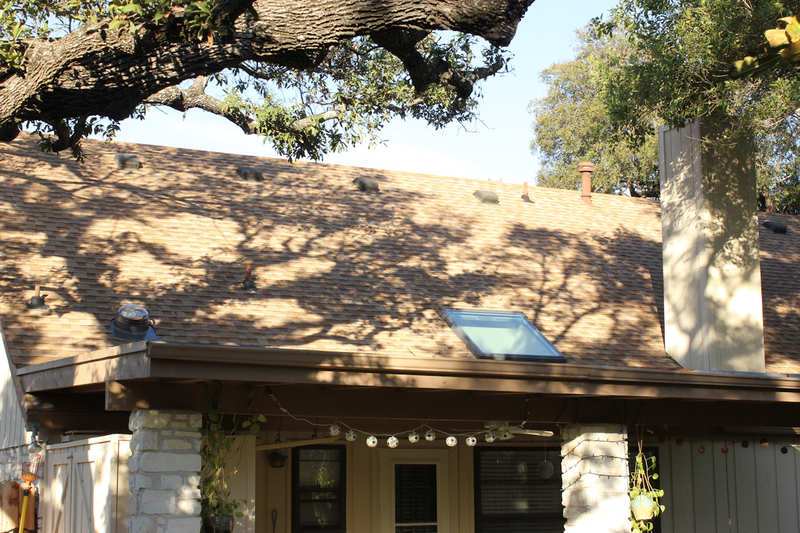 Check out the before and after photos to see what a huge difference the skylight made. 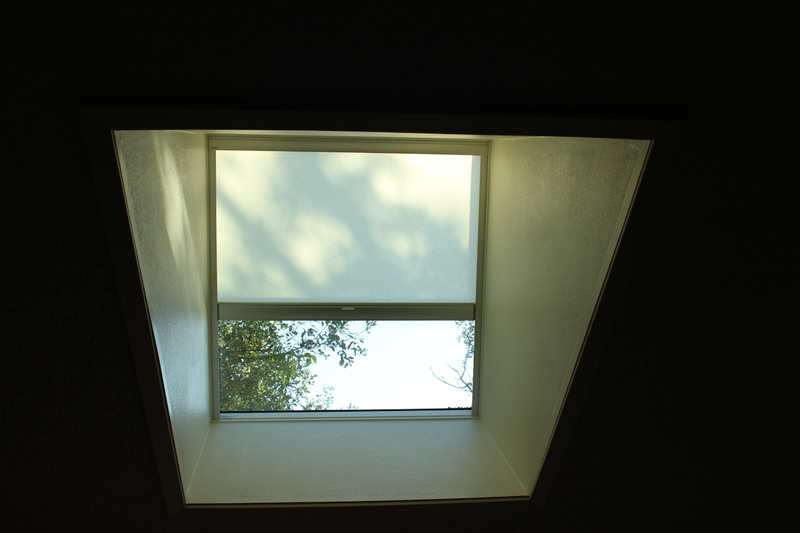 We had a 4′ x 4′ Velux skylight installed with a solar powered remote controlled light filtering shade. While we were having a hole cut in the roof, we also had a Velux sun tube installed in the laundry room which doesn’t have any windows. It’s awesome! All work was done by Design Skylights and I must say that the end cost was very reasonable. The before view looking towards the back of the house. The window and door look out to the covered porch. The room is lit with a flash so that you can actually see it. Bonus if you spot the hidden cat in this photo. The after view, lit only by the light in the room due to the skylight and windows. 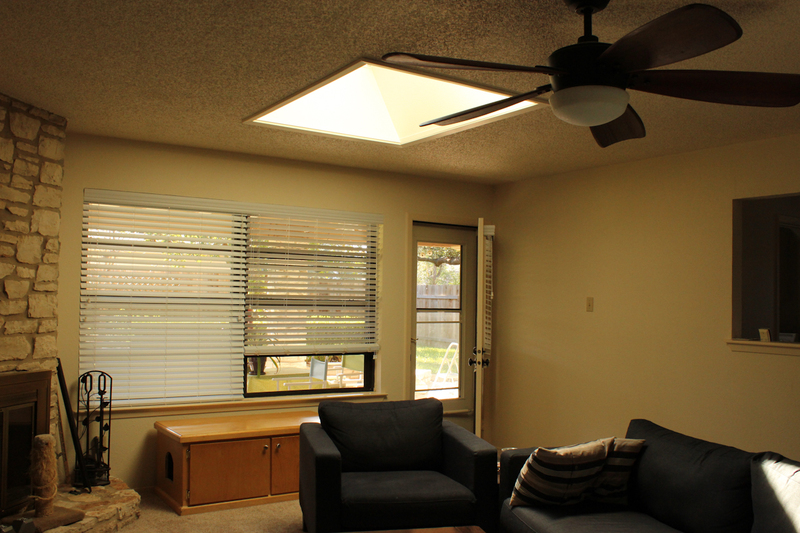 The light filtering shade will be very handy during the hot summer months. The shade is solar powered and operates using a remote control. 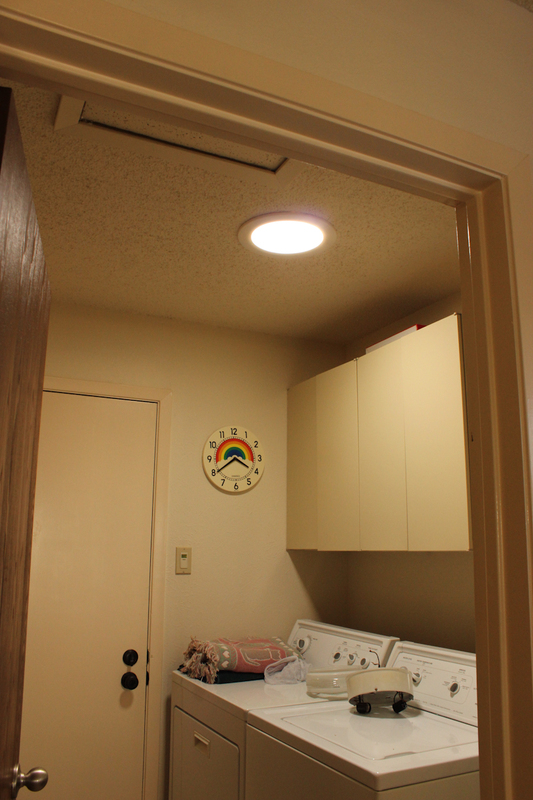 A view of the sun tube in the laundry room. The light is not on. The outside view. The sun tube is the glass dome on the left. I love the sun tube! It looks like a light on the inside. Very cool. Thanks Katie! It made a huge difference in the light available in the laundry room. The sun tube has a light mounted inside of it so that we can still have light at night without a separate fixture.